We serve the best variety of fresh fruits from Vietnam! LONG VINH PHAT Co., Ltd is a leading manufacturing company for the export of tropical fresh fruits and vegetables in the world. We provide you with premium quality tropical fresh fruits from Vietnam all year long. We guarantee that our products are of the highest quality with GLOBAL G.A.P, VIET G.A.P and hygienic standard packing process. Therefore, we can ensure that our products will meet your expectations and satisfaction. 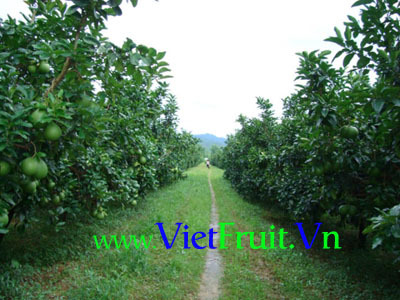 The orchards and warehouses are located in southern Vietnam. The company maintains operations and its head office in Ho Chi Minh city. Our first concern is to export high-quality fresh fruits at the best prices directly negotiated with farmers around Vietnam. Customer satisfaction always comes first in terms of quality, freshness, diversity, and value. Let us serve you the best. The expertise and extensive knowledge of long experience in the agriculture field. The guarantee of buying only high-quality fresh products that have successfully passed all phytosanitary tests. Freshness is also guaranteed for daily delivery from farm to the airport and seaport in Ho Chi Minh City. Reasonable prices from our own farms and neighbors mostly around the Vietnam area. Our sincere promise to provide you with an honest and trustful business relationship. We invite you to scroll through our product list on our site http://www.VietFruit.Vn for further information. Feel free to contact us by email, fax or phone.